Industry analysis firm TrendForce has issued a new set of predictions for the 2018 iPhone lineup including Apple Pencil support and a $699 starting price. Apple is largely expected to debut three new iPhones this year: a 5.8-inch OLED iPhone X successor; a 6.5-inch OLED iPhone X Plus; and a lower-cost 6.1-inch iPhone with an LCD display. That lineup has been corroborated by numerous sources. 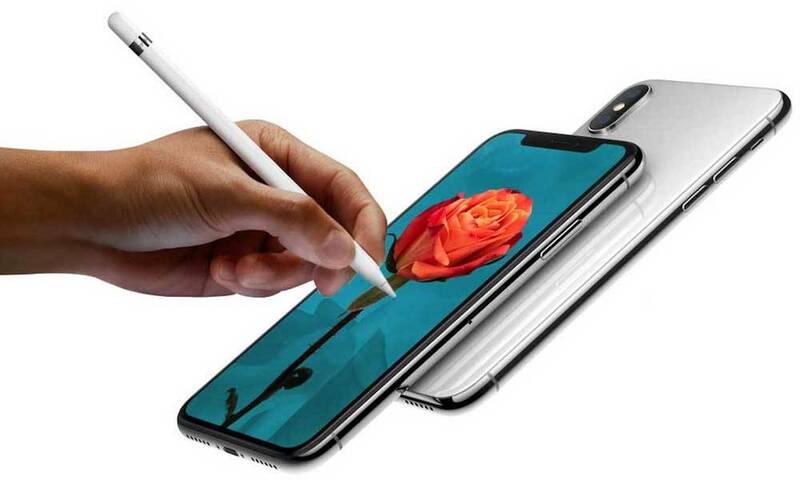 TrendForce believes that the two OLED models could launch with Apple Pencil support. That would likely boost sales of the smart stylus and move the larger 6.5-inch OLED iPhone closer in specifications to its competitors, including the newly launched Galaxy Note 9. This possibility has been floated by analysts and media before, but some — including renowned Apple watcher Ming-Chi Kuo — doesn’t expect the feature to launch until at least 2019. The analysis firm also expects Apple to offer expanded storage tier options. In addition to a 64GB and 256GB storage configurations, TrendForce says that the two OLED models could also come in a massive 512GB option (which isn’t unprecedented, as it would also echo the Galaxy Note 9). Both OLED models could come with 4GB of RAM. For the mid-range 6.1-inch LCD iPhone, TrendForce expects it to be very similar to last year’s iPhone X but at a reduced price point. The company says it would be offered in 64GB and 256GB tiers and could sport 3GB of RAM. TrendForce does expect Apple to position the 6.1-inch LCD iPhone as its “main product” this year. It expects it to make up as much as 50 percent of total iPhones produced and shipped in 2018. Other analysts and industry watchers also expect it to sell like hotcakes. As far as pricing, the analysis firm said that the 6.1-inch LCD model could start as low as $699 to $749. This lines up with precious price point rumors, though some have suggested a starting value as low as $599. The direct iPhone X successor would be extremely similar to its 2017 counterpart. But it would retail at a lower starting price of $899 to $949. Finally, the iPhone X Plus — which TrendForce says is aimed at the “premium business segment” — could occupy the $999 price tier previously held by Apple’s 5.8-inch 2017 flagship. Apple is said to be negotiating with its supply chain partners to reduce component costs so it can slash the prices on its iPhones. TrendForce says the threat of Android brands with lower-cost devices may be spurring this adjustment of Apple’s pricing strategy. The total production volume of the 2018 iPhone lineup is said to be around 83 to 88 million units. iPhone sales volume is only expected to grow marginally this year, however. Apple is likely to debut all three new iPhones at its annual keynote event, which typically takes place in September.